We are leading Contractor and Suplier of MPC Jali and our product is made up of good quality. We are renowned as the , distributor, trader and supplier in the concerned domain, actively engaged in offering MPC Jali. The offered designer grill is acclaimed among customers due to its attractive patterns. This designer grill is designed with the help of top quality material and modular tools by our skilled professionals. Additionally, this designer grill is thoroughly tested on various stages by our professionals assuring its flawlessness. 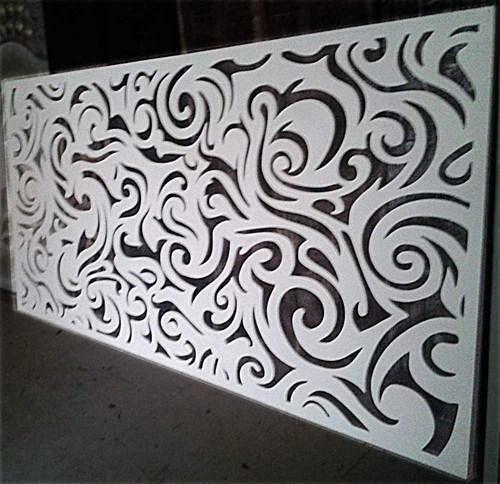 Established in the year of 2015, Concept Interiors is the leading wholesale trader and service provider of Wall Panel, Ceiling Tiles, PVC Grill and much more. We are a quality-conscious firm and continuously struggle hard to bring forth only premium quality products to our prestigious patrons at reasonable rates. Moreover, we have earned great admiration from the customers, owing to the flawless range of products. In addition to this, with effective pricing structure, adopting ethical business policies and performing crystal clear dealings has added to the client-organization relationship.